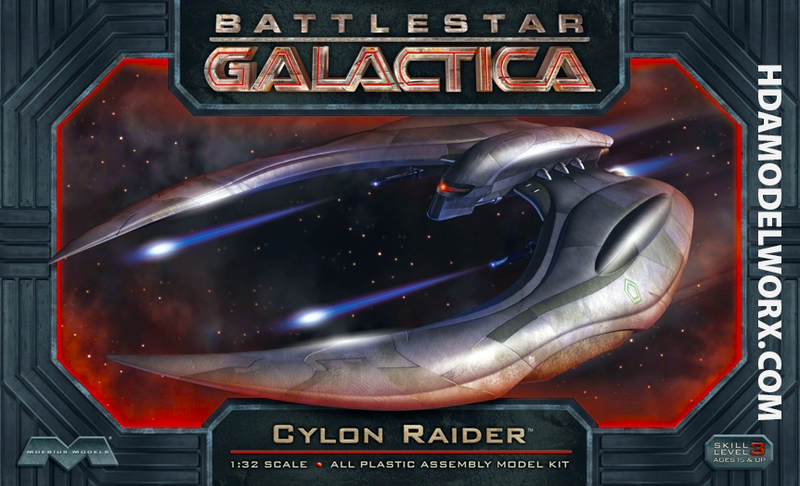 The Advanced Raider is the top of the line Cylon ship in their hunt for the Colonials. 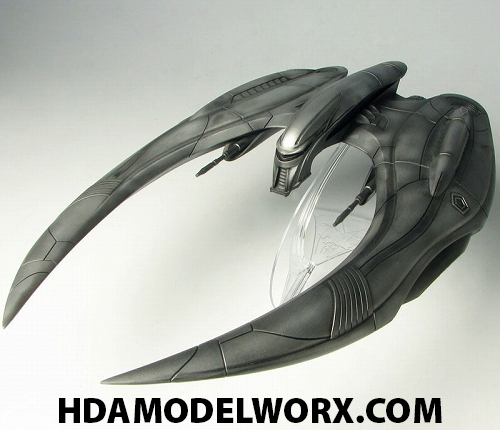 This highly accurate kit from Moebius Models features exacting detail based upon the actual effects CGI model from the hit TV show! This 1:32 scale model is 11 inches long and 7 inches wide and includes a display stand and printed backdrop. Complete instructions included. Paint and cement required for assembly. All plastic model kit. Same 1/32nd scale to match the MKII and MKVII Vipers sold separately.